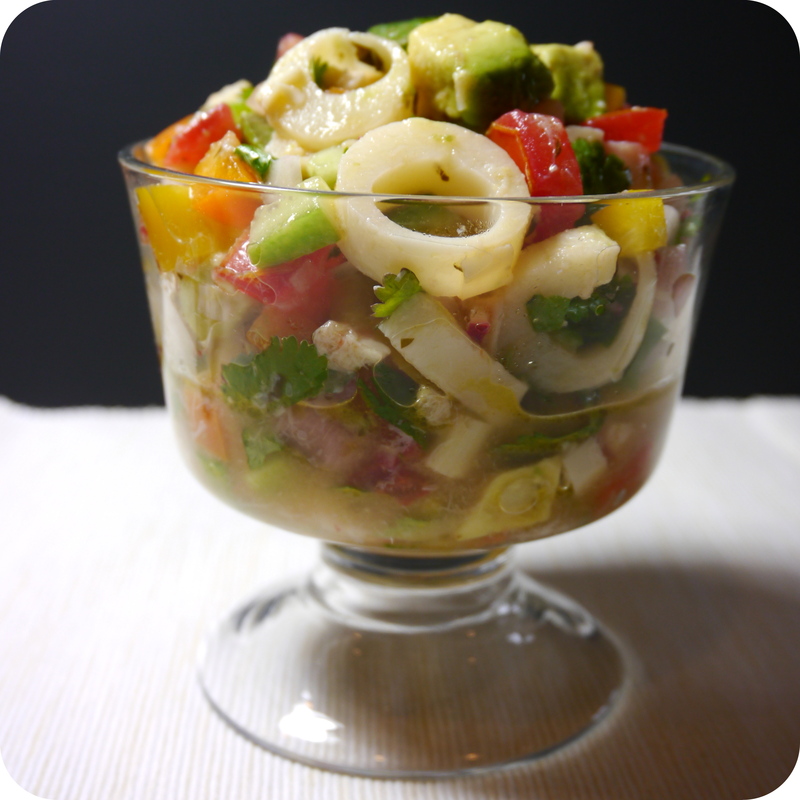 First Gazpacho and now Ceviche…sticking with the cold summer dishes theme I thought now would be a good time to post my Vegan Ceviche recipe. This cool, crisp salad is great served up with tortilla chips or my personal favorite, on top of a bed of lettuce. 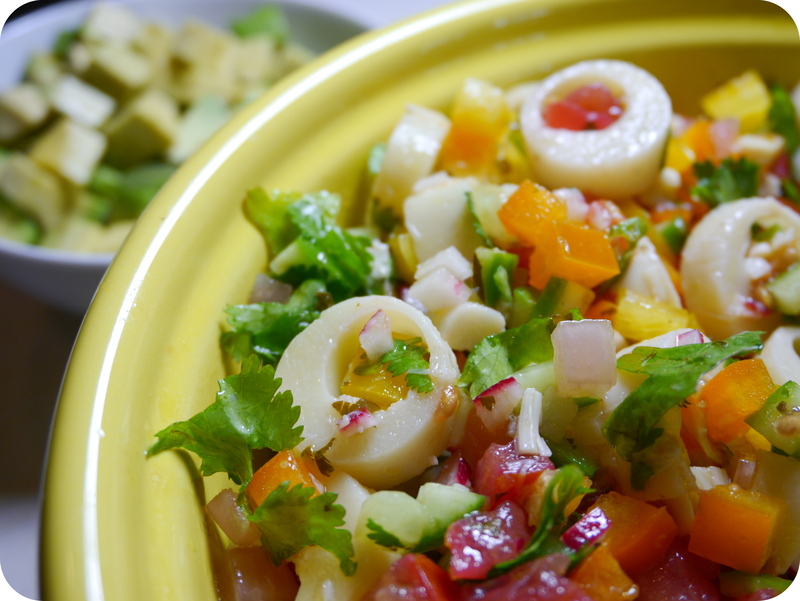 Ceviche is traditionally a seafood dish where the selected seafood is “cooked” by being marinated in citrus juices. 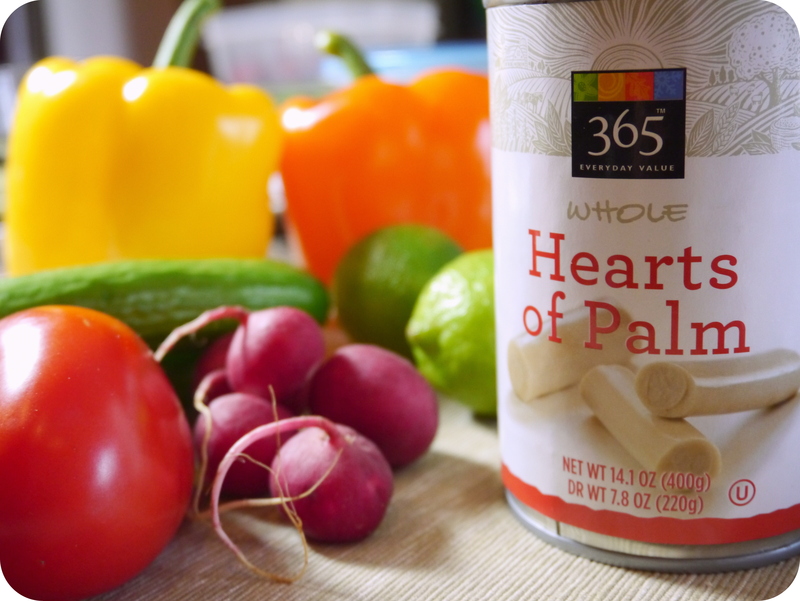 In my Vegan version of ceviche I so cleverly use hearts of palm to act as the octopus, a much more compassionate version, but still gives it the “look” of traditional ceviche. Enjoy! 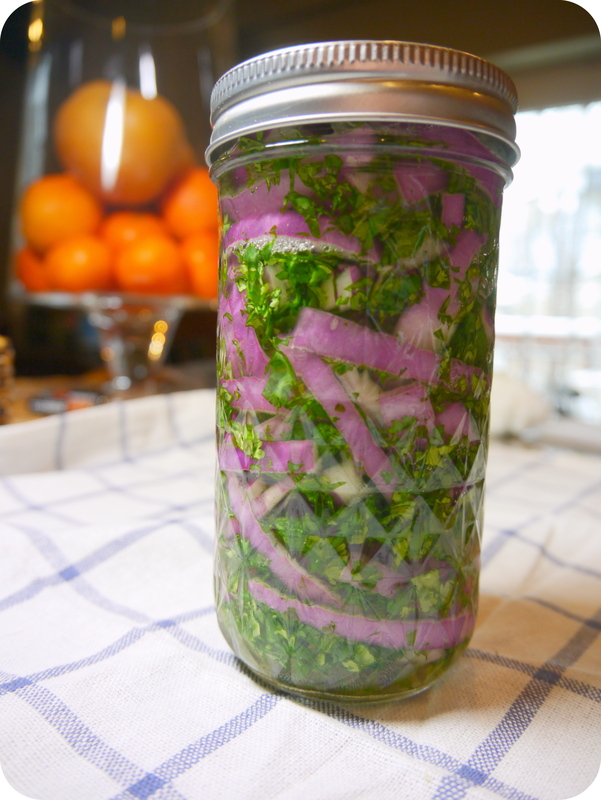 Pickle your onions according to Morgan’s instructions using cilantro for your herbs. Combine all ingredients (except avocado) into a medium-large mixing bowl. Allow to marinate in refrigerator for 2 hours. Stir ceviche, then lightly fold in the diced avocado just before serving. Serve with tortilla chips or over a bed of lettuce.